Conference play will tip tonight. That’s a fun fact to let sink and now’s a good time to let your loved ones know that Thursdays and Saturdays are booked (and the occasional Wednesday. And the occasional Friday. And the occasional Sunday. And all of March). I love conference play because it means something. A “good win” doesn’t just carry a nice perception, it moves you up the ladder. And we know that college basketball is all about getting to the top of ladders. With scissors. The Games and Stories – An elementary opening point for a ‘must watch’ list, but as we head into this most anticipated of Pac-12 conference seasons, I am acutely aware that I don’t want to watch Southern University play a ton of games. I’m not that stoked on seeing Arkansas-Pine Bluff, Weber State, or Evergreen State (St. Katherine, for that matter). And I mean no offense. I just don’t know them from Adam and I want the drama. I don’t care if UW and WSU rate outside the top-100 on KenPom. That’s the damn Apple Cup. USC is the 4th worst team remaining on UCLA’s schedule. BUT THEY’RE THE ONLY SCHOOL YAPPING AT UCLA. Suddenly we’re privy to subtext that wasn’t there when the opponents were [Directional] State Tech. Arizona is the top team, but Spencer Dinwiddie has already said he thinks his team is the cream of the crop. I have running bets about Arizona V. Oregon and I love the Arizona-Washington rivalry. Last time Cal and Stanford faced off, STANFORD’S ENTIRE ASSISTANT COACHING STAFF WAS EJECTED. Prior to last season, there hadn’t been an in-conference matchup of ranked teams since 2011. This year we’ve already got one in the first week (#10 Oregon @ #20 Colorado)…with more to follow! It’s conference time. Ben Carter – He has just three games under his belt (flipping shoe swag) and really just one of consequence. In that game – against BYU – he managed 4 points, 4 boards, 3 assists. Not quite Arsalan Kazemi yet not even close, either. But he’s long been considered a budding piece of what Dana Altman is trying to accomplish. And now’s the time. From a personnel standpoint, the Ducks can’t quite hit the boards the way they used to. Or rather, the way Tony Woods and Kazemi did. They’ve shifted from a top 10 defense to a top 10 offense. The best offensive team Dana Altman has ever coached. As we move forward, the emergence of a Robin to Mike Moser’s Batman could greatly benefit the Ducks. Washington’s Front Court… amongst so many other things in Seattle – Maybe there isn’t much to watch here as this team has become decimated through recruiting failures and injury (RIP Jernard Jarreau). Perris Blackwell is a fine player, but he’s one man. 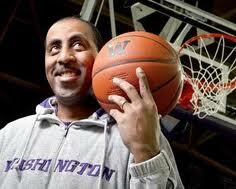 This is Romar’s worst defensive team since – well it’s literally the worst defense he’s ever coached. They rank 287th in defensive efficiency giving up 1.09 points per possession. Woof. Teams are shooting a 54% eFG against them, otherwise known as 318th best nationally. Double Woof. And that front court that doesn’t necessarily exist? Allowing 70% shooting at the rim. Teams are shooting 56% from 2-point range and I could go on but I won’t because as the Dawgs allow more and more points it raises more and more questions I don’t want to discuss about the health of Husky Hoops. So why watch? Because it could be something of a last hoorah. Oregon’s SOS – It has to improve. Or perhaps better said: it’s going to. They’ll play all of Arizona (State and the good guys) and UCLA twice while only escaping a visit from Colorado. Amongst KenPom’s top-25 teams, the Ducks have the 5th easiest schedule. Completely to their credit, they’ve handled that schedule. But as the going gets tough we’ll get to see whether or not this team will Win the Day. Cal’s Injury Bug – First they dropped two tough games without Richard Solomon in the lineup at the Maui Invitational. Then Kreklow and Bird sustained injuries and it’s pretty wide open as to when either of these two is coming back. You don’t need me to tell you that’s not good. I love Bird’s skill set and he carried the Bears through a few games earlier this year. They’ll now rely even more heavily on seniors Cobbs and Solomon as well as soph Ty Wallace and junior David Kravish. That’s a nice foursome, but nothing close to what this team is with Ricky and Jabari. Will their absence cost the Bears a chance to dance? The POY Race – I wrote really early in the year about this because why not? This is going to shake out to be a really great race because there are so many players that will be worthy of the title for so many different reasons. From Joseph Young who gets points like a Fuel Band to Kyle Anderson who does everything like a Swiss Knife, how will voters (Pac-12 coaches) evaluate? Value (Nick Johnson, Anderson, Delon Wright, Mike Moser)? Skill (Young, Jahii Carson, Jordan Adams)? Whatever the case, it’s not going to be Jorge Gutierrez. Arizona’s Depth – Or lack thereof. They’re a damn talented team who then ranks 312th in percentage of bench minutes. The Pac-12 season is a grind and getting into the Yorks, Pitts’, and Korcheks of this lineup could help alleviate some of stress on the core-six. But it’s a really good core-six. One thing I’ve long been interested in – ever since he started the first game of the year – is the development of Gabe York. He wasn’t expected to be getting much tick – his defense a liability and a thorn in Miller’s side. But he’s shown some ability to defend but it’s his shooting ability (42% 3FG%) that I believe could make Arizona the hands down favorite to win this whole damn thing. But he’s not quite there yet. Conference play will be his chance to cut his teeth in some big games. Hot Seats – I hate this topic but it’s going to come up and as a given team maybe does worse than we might expect, there could be some seats warming up all over the conference. The influx of coaching talent across both football and basketball in the past 3 years has been impressive and if you’re not keeping up with the Joneses then you’re just losing sporting events. There are going to be a few ADs with tough decisions in the coming months. You already know which ones they are and so do they. Delon Wright and the Scorin’ Utes – Larry K’s team has exceeded the 120-point mark twice this season and they’re third in the nation in points per game (87.4). They’ve also played nothing short of a middle school schedule but that’s a whole different topic. Delon Wright has been an incredible addition to this team. He’s doing almost everything for them: 15/7/6, 138.3 ORtg. The obvious here is that I’m intrigued to see how he fairs against better competition; which begins tonight as he and the Utes host #10 Oregon and all of the guard talent in the world. The other thing to note about Utah here is that they have the fifth highest eFG% in the nation. Again, the schedule stuff, but at a certain point we have to appreciate that what Larry K’s team is doing is simply efficient. Excited to see how it translates. They’re 11-1. Jahii Carson – Because he’s Jahii Carson. #20 Colorado – The lede here is that they’re ranked and Tad’s making a name of this program and Spencer Dinwiddie is likely league-bound and then something else about Askia Booker putting up shots like a Tri-Delt. It’s all true. But let’s take a moment to think about Josh “Jelly” Scott as we head to conference play. The guard play in this conference is obscene. The Arizona bigs have been getting their love but how about Scott? Here are his numbers in Colorado’s last four games: 15 points and 11 boards. That’s a lot of everything you’d want from your big. He takes just 7 shots per game to get his points, which is grossly efficient. And this is the point in the blurb that I mention his free throw rate: 88.2. That’s a 147% increase over last season’s FTRate. He’s drawing greater than 6 fouls per forty minutes. Once perceived as soft, he’s banging his way to the free throw line and offensive success. Such a post asset is going to bode well for the Buffs as we make our way towards March. Vegas – Things happen there that should stay there. You know this and I know this and the Vegas travel bureau markets that. Certain things should stay there including the Pac-12 tournament. This will be year two of the three year contract that I fully expect to be renewed. But I don’t expect many teams to be sticking around Vegas. What I mean is I think there’s going to be a hearty number (seven) of Pac-12 teams leaving Vegas for the big dance. I also think this Pac-12 tourney is going to be as fun as it gets. Hoops on basketball on baskethoops.